Mobile App: Every hour need - Codeholic IT Services Pvt. Ltd.
Today we all have got that one essential thing in our pockets that gives us access to everything across the World. Yes! Smartphones are the most used gadget of this time. And for a businessman they could be way more useful and profitable than just making calls. Over the time traditional businesses have shifted to e-businesses. A major reason behind it is the lack of time and convenience for both customer and seller to be physically present. Customers are engaging in online shopping & services, frequently and the statistics are growing every day. By 2019, there will be 2.5 Billion smartphone users, worldwide. That’s why not only global e-Commerce giants but also new entrepreneurs are rushing to establish their identity in the market through Mobile Apps. 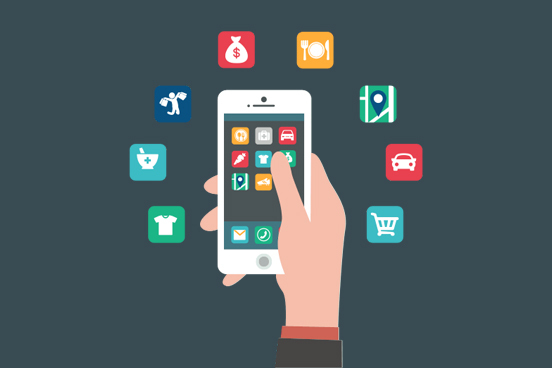 Afterall there are enormous perks of having a mobile app for your business. Business apps are solely intended to increase customer engagement. One can easily download and browse the services faster through apps. They consume less data and barely show any connection failures. Most of the apps run loyalty programs to keep the sales consistent. Users also get highly attracted towards your products when they feel rewarded and satisfied. Each time a user gets comfortable shopping experience, you get a positive review and the business grows. Either it’s an advertisement, market analysis or a quality survey, apps help you get all of it at one stop. The App collects statistics about visitors, their preferred choices, your average incomes from products. This helps build a stronger marketing strategy and manage organizational activities. Moreover, they are best to highlight new collections, offers, discounts and sales. You get to receive a lot of customer’s private data for e.g. contact numbers and addresses that can be used for future advertising. All of this saves a lot of time, energy and money for a small business. Locally based companies often lack the long-term vision. The idea of having a Business app barely strikes them. This is an opportunity to make your business shine brighter. With an app you can take a big leap ahead of your market competitors and also establish a Brand value for your business. With the help of an App, advertising on Social media becomes easier and masses become approachable. As soon as a brand or company becomes accessible on phone, the marketing and promotional activities get a whole new level. Whether it’s Instagram, YouTube or Facebook, pop-up advertising is trending on every platform and apps make the most out of it. So, we can conclusively say that Mobile app for your business is a great Idea to set new standards in eBusiness industry and make your organizational activities more manageable.